It has been a while. Too long. I've been floating around the patch but not plugged into it. An extended building project on our "fixer-upper" of our house has left me a little jaded. Erratic tradesmen, unexpected hitches and missed deadlines all contributed to a frustrating 6 weeks. Once the workmen had left my work started. Paint and more paint. All this has left me feeling somewhat disconnected from my beloved patch and the cast of thousands whose life stories I follow with equal amounts of fascination and admiration. The scent of blossoms and the tinkle of birdsong were replaced with the whiff of plaster dust and the scratch of sandpaper. Eventually I managed to get back out to record the wildlife along the muddy banks of the Dee. The patch hasn't missed me. It is not sympathetic to my hassles with builders. It just gets on with life, and so it should. I am a passenger on its seasonal journies, an observer. So out I go with optics and cameras to re-connect with (no so) old acquaintences. The Patch look glorious, but doesn't welcome me with open arms, why should it? 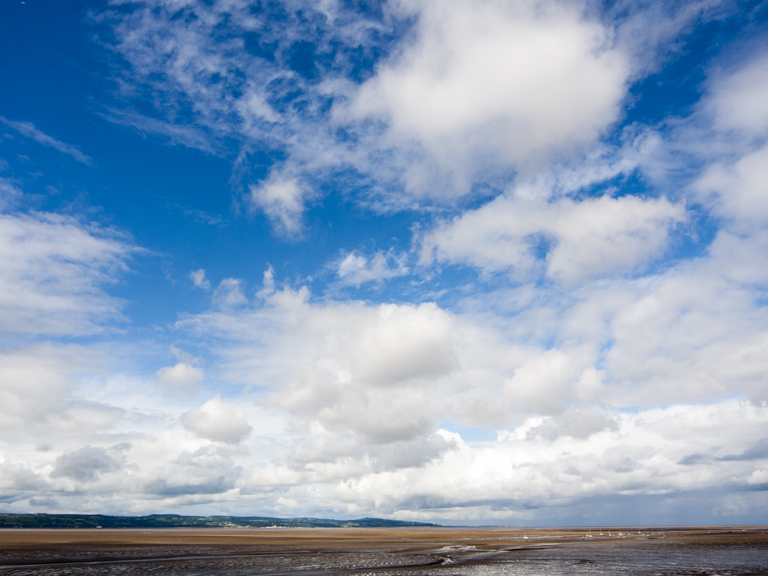 I wander along the Wirral Way and there seems like there is nothing about. All quiet. Birds subdued, all green, no flowers on show and a lack of insects - butterflies and dragonflies conspicuous by their abscence. Soon I realise that it will take time to get my eye in and reconnect with the Patch. A few weeks away has dulled my senses a little. I get the feeling I am going to revel in my Patch manoeuvres on this outing. Pretty soon I am picking up all kinds of songs, buzzes and flutterings along the hedges. The weather is awesome too. The sun is red hot on my forearms making me glad of the factor 50 i had slapped on before I left. A cool breeze wafts the hairs on my legs, hot weather means shorts instaed of long trousers. 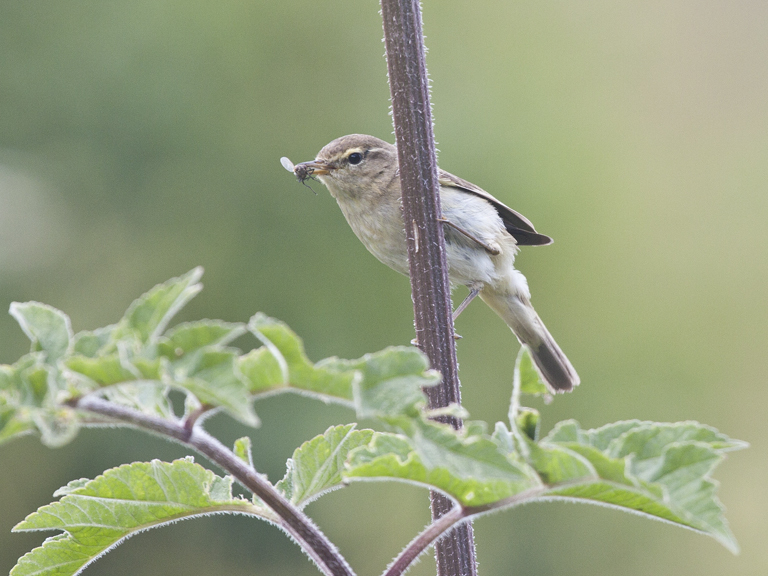 I'm beginning to feel part of the picture I am watching, connected to the Chiffchaff that is feeding what must be a second brood. When I lean on a nettle and get a good sting I don't mind in the slightest. As the formic acid buzzes across the synapses of my nerves I don't register pain, just a further feeling of connection to my surroundings. 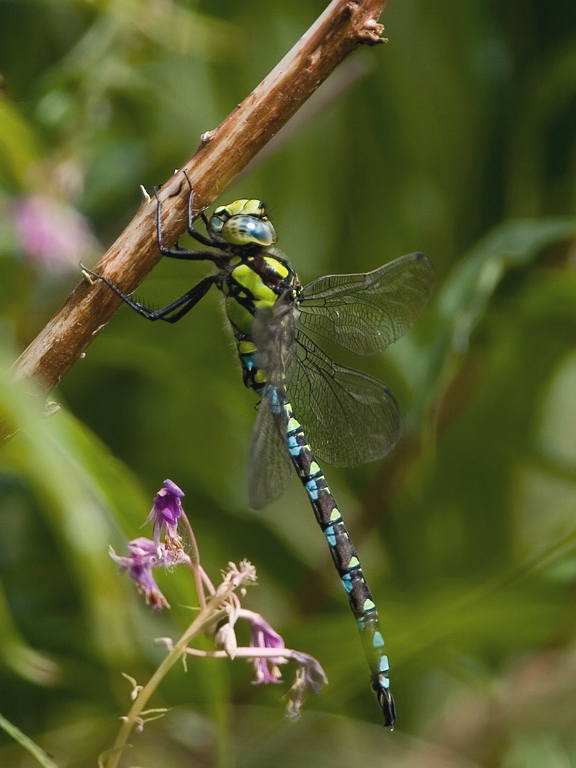 A Southern Hawker floats by and lands on a stick amongst the willowherb. I'm hunkered down close to the Chiffchaff. If I'd been walking along I would never have picked it out of the tangle of plants. cyclists zoom past oblivious to this magnificent insect. I have it to myself, so I get a few pictures before it starts to feed again. Another connection. All the tension that had built up over the last few weeks has melted away from my shoulders. I feel loose. I wasn't even aware I was so tense. The Patch is restoring me to my usual full chilled out self. More movement in the hedge as I head back to the bike and the ride home. One last chance to connect. 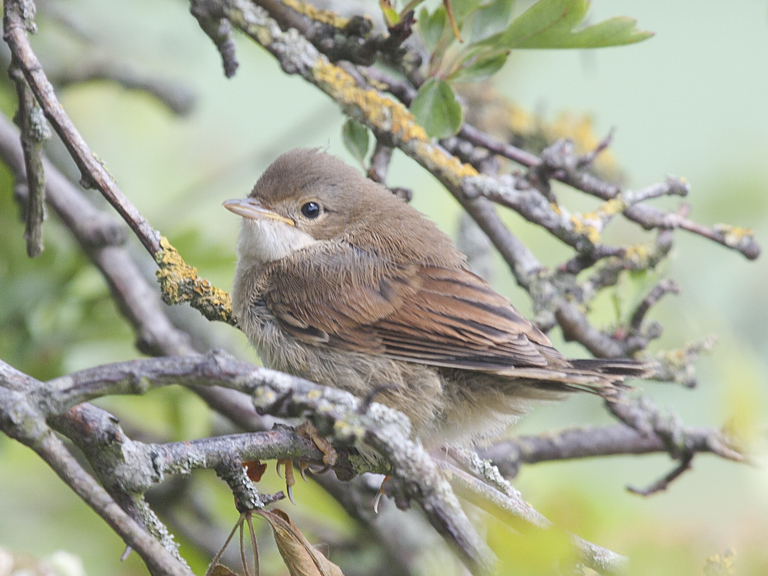 Juvenile Whitethroat. 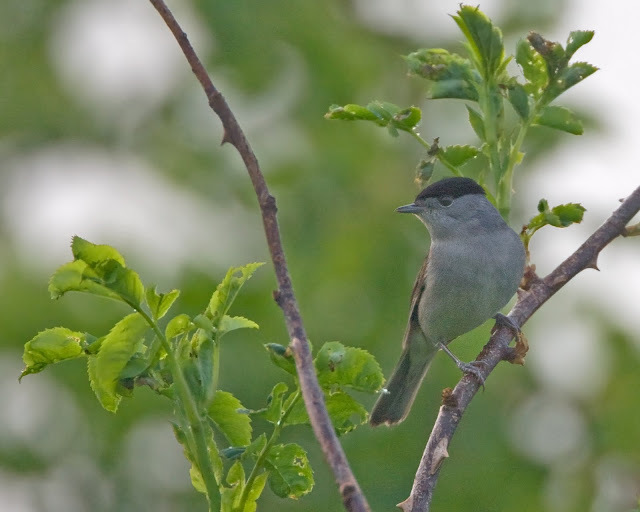 It is from a territory I watched a few weeks ago. Seems they have done well. I find 3 of the little rascals waiting to be fed by their parents. Their job has been a far harder than anything I have had to put up with lately. I feel slightly ashamed of my recent black moods. The youngsters have survived this far but have a huge trial ahead in thier trip to Africa. They wait patiently for food. I wait also, camera in hand, to record them and their parents. I take loads of pictures, noting all the different prey brought in. 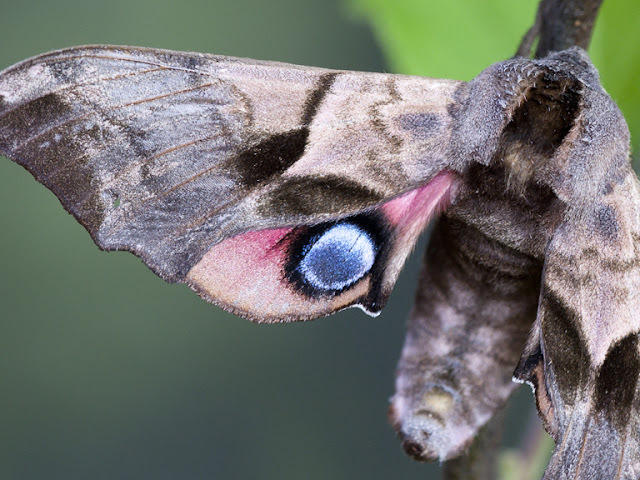 Pupa, caterpillars, bugs and moths are all on the menu. 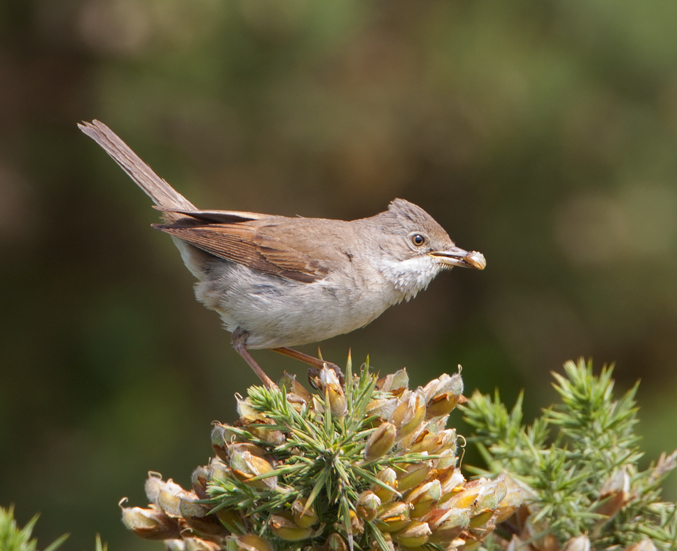 A parent Whitethroat lands on the gorse to my right, caterpillar wriggling in its bill. It looks in my direction, seeing my movement as I swing the lens in it's direction. It looks straight down the barrel of the lense. For a moment we are eye to beady eye. I freeze, I don't depress the shutter button. For a second, although it feels longer we are staring at each other. Only one of us attaches any significance to this. The other carries on feeding it young. For the other a connection is made.